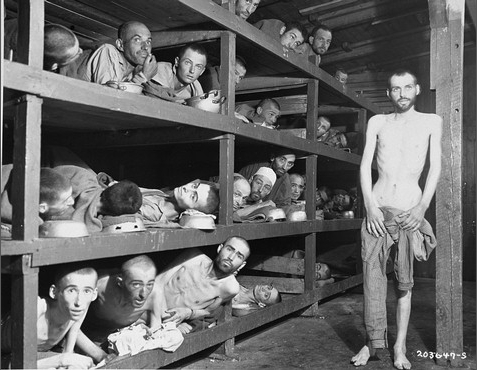 Sixteen-year-old Elie Wiesel in second row, seventh from left, days after his liberation from Buchenwald. I had the opportunity to ask Professor Wiesel about Moishe the Beadle the other day when we sat down for an in-depth CNN Profile, which you can listen to here. When Wiesel won the Nobel Peace Prize, the committee called him a Messenger to Mankind. He is not the only Messenger to Mankind. But somehow the power of his story, and his words, and his character, made it possible for his testimony to have a global impact. Moishe the Beadle was a messenger too. But the testimony he delivered was not received. When Wiesel was a little boy, growing up in the town of Sighet, Moishe was the “jack-of-all-trades” at the local synagogue. The most menial job. The Beadle. Before you click play on our conversation with best-selling author Jodi Picoult, ask yourself this: Would you forgive leng Sary? Specter on Cancer Battle: "Never Give In"
I talked with Sen. Specter during his battle with cancer. Borrowing Winston Churchill's phrase, he called it the "never-give-in" approach.